On Wednesday, November 28 there will be a Ladies' Fellowship Field Trip to the Assistance League Thrift Store where our own Gerry Gould volunteers regularly. 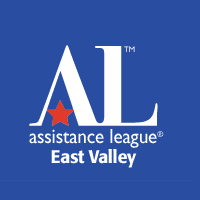 Assistance League East Valley primarily uses its funds to purchase new school clothes for kids in the East Valley. Last year they clothed nearly 10,000 kids. In addition, they make and distribute assault victim kits to Chandler Hospital, Chandler Fire/Police and family crisis centers. We will be carpooling from our church at 10am to the thrift store located at 2326 N. Alma School Rd., Chandler, with lunch afterward at a local restaurant. Gerry Gould has a sign up sheet available in the narthex!